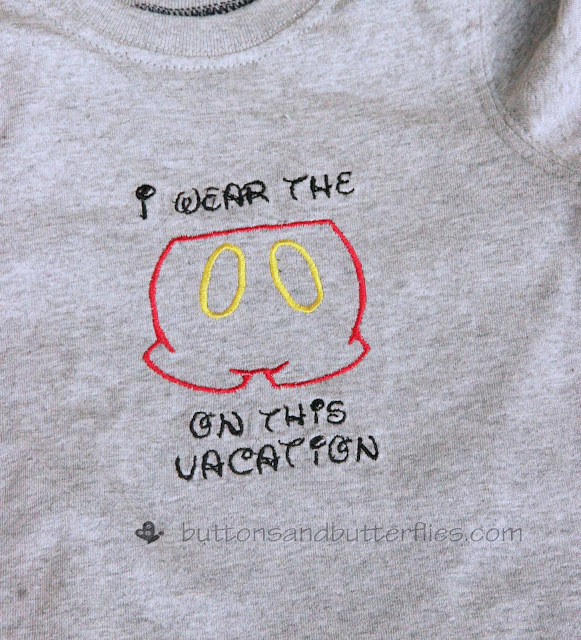 ........and vomited Mickey all over the place! A few shirts for someone's first trip to Disney World!!!! This one is my favorite....even though Mr. Boss doesn't get it. 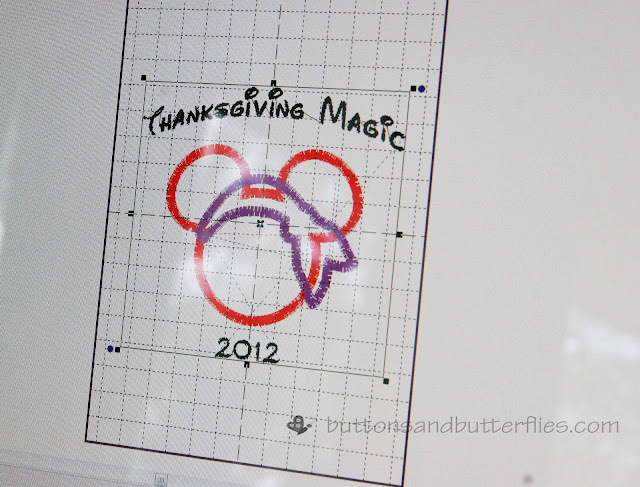 I am also working on some Pirate Mickey shirts for a friend. She and her family are going on a Disney Cruise! There is a pirate theme night and they plan to wear some of these!! 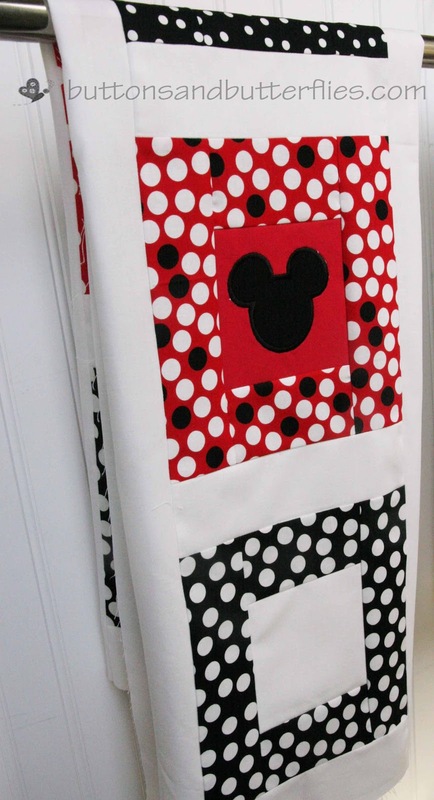 I made a little progress on the Disney quilt top. Thanks to or despite Button's help? 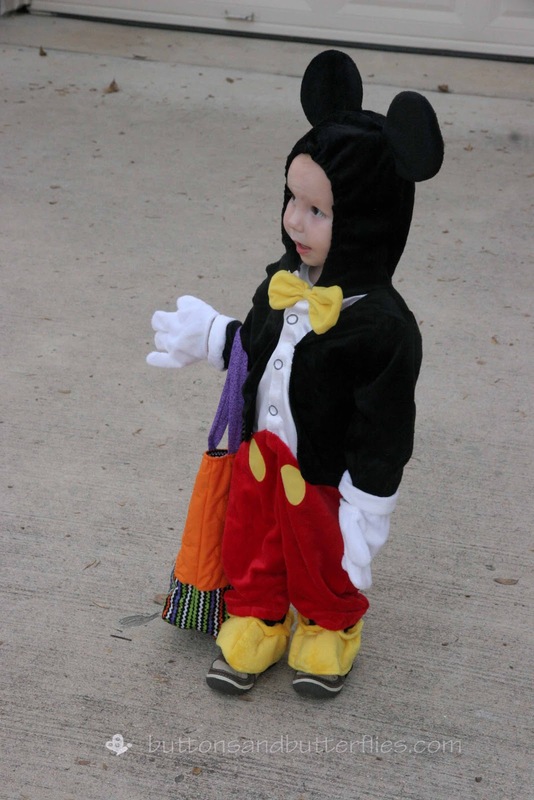 And in case you are wondering why I feel compelled to do all this Mickey stuff? So cute! I especially love the quilt top. That is going to be perfect for someone special! Love the Mickey theme, such a cutie in his outfit! We are HUGE Disney fans; in fact my husband and I just got home last night from a three-day weekend away without our two little ones. 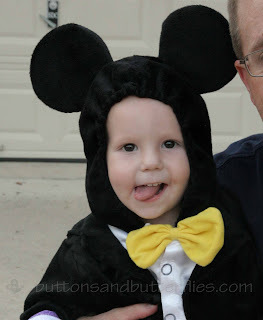 I must confess, we had a Mickey themed party for our son's 2nd birthday in August, and I stay up WAY too late creating Disney themed clothes for our trips! 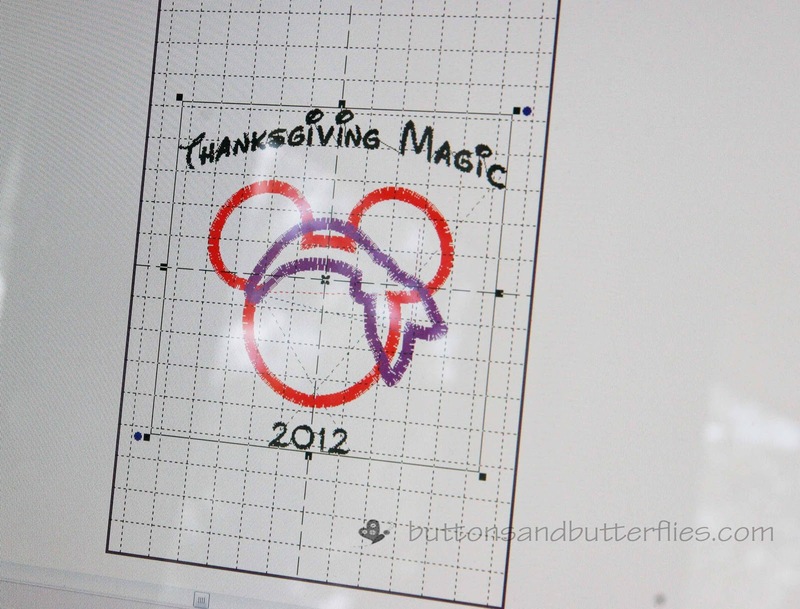 I hope Button enjoys seeing Mickey Mouse (it should be pretty easy to do that at The Magic Kingdom using a Fastpass!). Have a very magical time! I love the 'Jake and the Neverland Pirates' Mickey. That is awesome. The quilt is adorable. Button really seems to like it too. Button looks so cute in that custom!!! !